COEUR D’ALENE – Jonathan Parker will be the next Idaho Republican Party chairman after a vote Saturday. Elected by secret ballot where voters scribbled down a candidate’s first name, Parker – the party’s former executive director – could not attend the GOP general session on Saturday because he was called away Friday on an urgent family matter. Former state Chairman Trent Clark, who accepted the nomination on Parker’s behalf, said Parker had called him for his advice about missing the party’s summer session. Clark, who worked closely with Parker as chairman, said Parker’s decision to put family first – even before his duties to the party – showed that he was the right choice for chairman. “I want a chairman who knows that when we write in our platform that we believe in family, that is a principle, and it comes ahead of even the desire to chair the Republican Party,” Clark said. 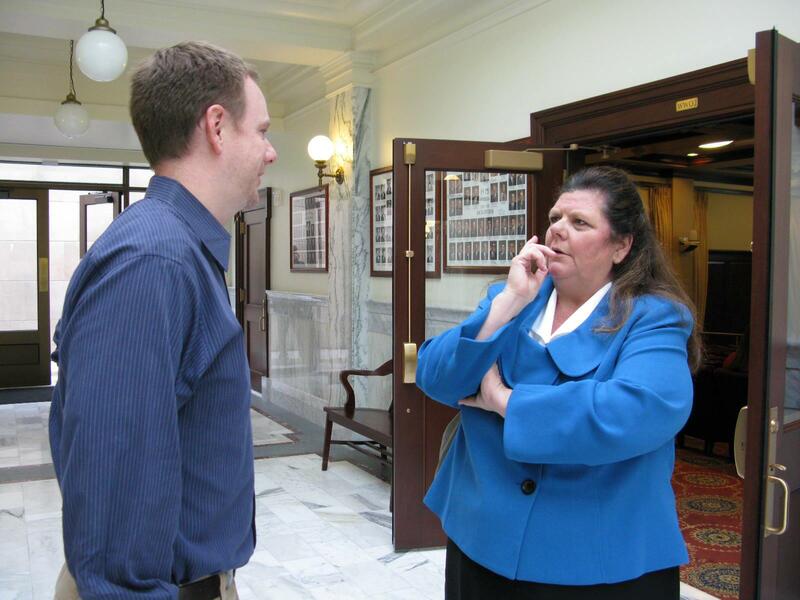 Parker currently serves as Idaho director of government affairs for the Holland and Hart law firm. Before he was executive director of the Idaho GOP, he was a congressional office district director and ran several campaigns. One other candidate, Region VI executive representative Charles Horikami, was nominated for state party chairman. Horikami began by asking everyone under the age of 30, and then 35, to stand up. A few individuals in the room rose from their seats. Next, Horikami asked those who have children or grandchildren that identify as Democrats to stand up, which several did. While Democrats have a clear message that “sounds good” to young people, the Idaho Republican Party is losing youth with its overly detailed party platform, Horikami said. President Donald Trump showed that a message with 140 characters can connect with people, and that is what the party needs to capture the attention spans of younger people, Horikami said. However, Horikami said Parker’s absence to support his family should not be held against him. “No matter how you vote, I will support Jonathan with everything I’ve got,” he said. Parker received a call informing him that he was elected party chairman, and he delegated former Chairman Steve Yates to say that he looks forward to working with Yates and the party. “All of us will make 2018 a monumental year for Idaho,” Parker said. Parker will serve as chairman until the next state convention in 2018, which will be held in Pocatello.